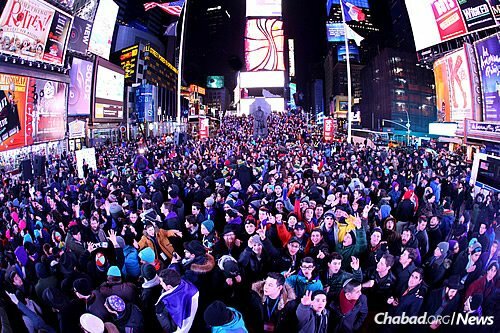 “How many people can show up in Times Square and have a mad Jewish party there?” asks Koby Lerner, rhetorically. 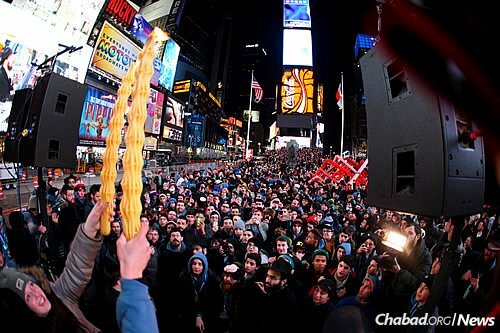 The 16-year-old from San Diego will be one of more than 2,000 Jewish teenagers from countries around the world to share in a Havdalah ceremony and spend Saturday night in New York’s iconic neighborhood at Broadway and Seventh Avenue as part of the ninth annual CTeen International Shabbaton, to take place Feb. 24-26. And that’s only a part of a weekend of spirited (and spiritual) celebrations, learning, touring, socializing and more. What began nine years ago with 40 teens has expanded to more than 2,000 set to arrive this year. 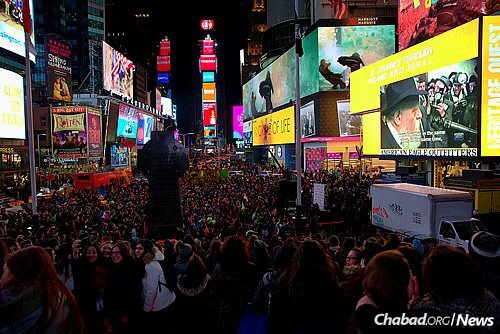 Along with hundreds chaperones and staff, this will be the largest Shabbaton to date. This year, for the first time, CTeen will welcome chapters from Moscow, Monaco and Brazil, making this the largest international group ever. 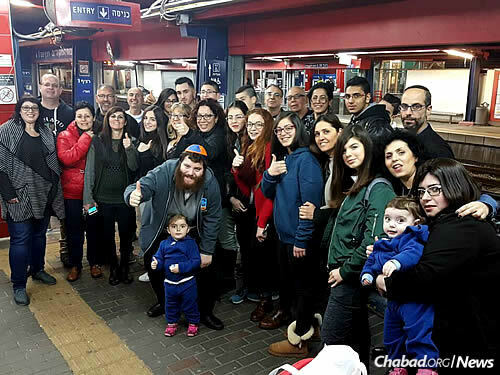 And as many as 75 young Israelis are flying to New York. 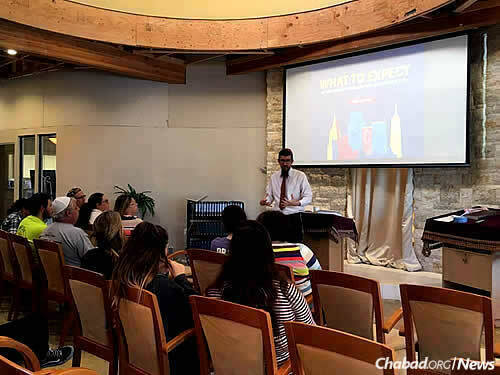 The students will be hosted by local families and experience a traditional Shabbat, similar to what it was like for many of their great-grandparents and forefathers, adds the rabbi. For these young people, he says, every small step—such as putting on tefillinonce a week or observing Shabbat to any extent—is a huge change. 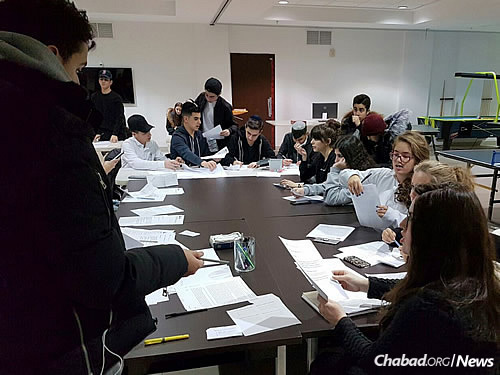 The Shabbaton comes just days after thousands of women filled Brooklyn as part of the annual International Conference of Chabad-Lubavitch Women Emissaries (Kinus Hashluchos). 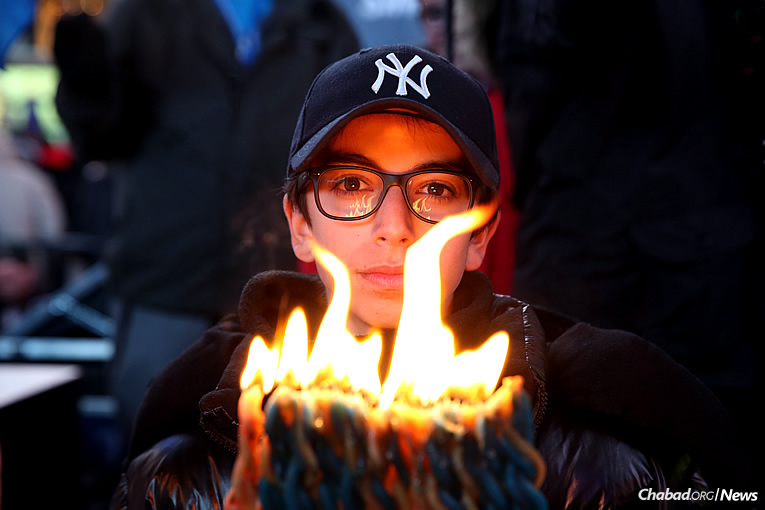 In New York, teens will get to visit some of the city’s major attractions: the Statue of Liberty, the new One World Trade Center and 9/11 Memorial, Midtown, Uptown, Downtown and more—and will spend Shabbat learning, eating, praying and getting to know one another. Participants will also get a tour of Lubavitch World Headquarters at 770 Eastern Parkway, and the President Street home and the study of the Rebbe—Rabbi Menachem M. Schneerson, of righteous memory. And they will visit the Ohel, the Rebbe’s resting place at the Old Montefiore Cemetery in Queens, N.Y.
Koby relates how exposure to the strong camaraderie that Victoria describes has been “life-changing.” Last summer, the California native went on the “CTeen Xtreme” summer travel camp out West, staying on afterwards for a yeshivah program. 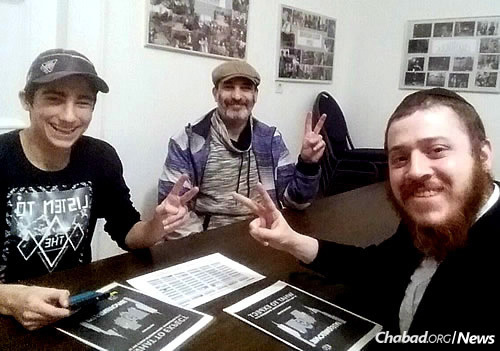 “I liked it so much I decided I didn’t want to go home, so I convinced my parents to let me stay.” Now, Koby lives and learns full-time at Yeshiva Ohr Elchonon Chabad in Los Angeles. 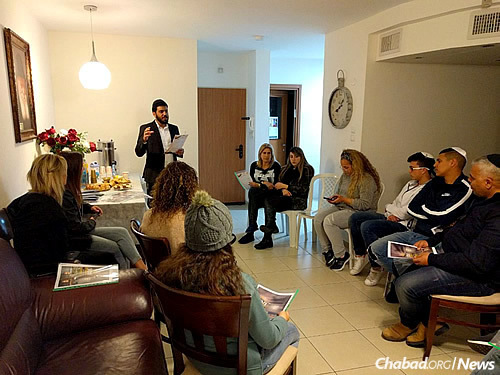 For many teens, the inspiration continues long after the Shabbaton is over. Ever since Sydney became involved four years ago, her father has watched his shy daughter transform into a real leader. Today, she is member of the CTeen International Board. 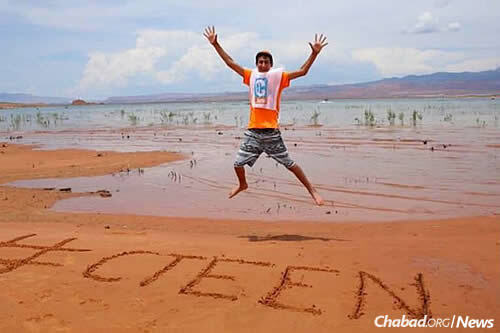 To learn more about CTeen International and the Shabbaton, click here.